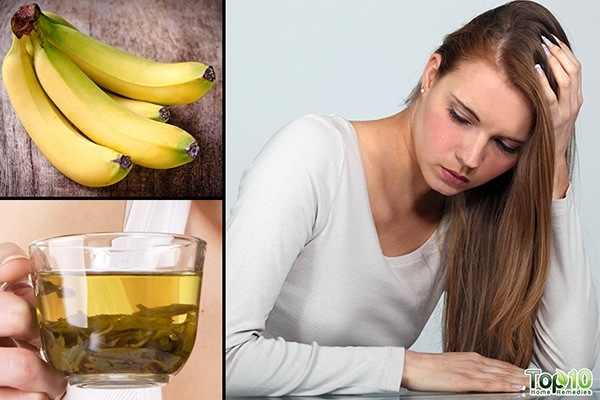 Home » Superfoods » Fighting Fatigue: What to Eat and What to Avoid? Fighting Fatigue: What to Eat and What to Avoid? Fatigue manifests as lingering tiredness, exhaustion, weariness, lethargy, and listlessness, which renders you incapacitated to function at your optimum best. Everyone is bound to suffer from dissipated levels of energy from time to time, but constantly feeling fatigued for no apparent cause is a whole new level of debilitating. Many people blur the lines between the two and equate their sporadic bouts of exhaustion and drowsiness stemming from a long day at work or a sleepless night as generalized fatigue. While feeling tired and sleepy is symptomatic of fatigue, this problem has other far-reaching social, physical, and psychological consequences. Fatigue usually entails a prolonged feeling of apathy and demotivation along with the typical markers of physical, mental, and emotional exhaustion. 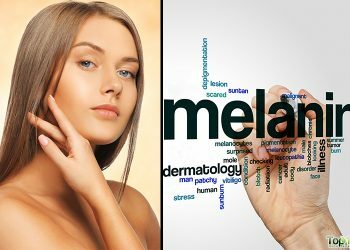 This state is not categorized as a health condition unto itself, but as the symptom of some underlying issue. It can set in as a response to intensive physical exertion or it can be psychosomatic in nature. But most cases of physical and mental fatigue occur in tandem. While physical fatigue is associated with unusually low levels of stamina and muscle weakness, mental fatigue makes it impossible to concentrate on the simplest of tasks and leaves you utterly indifferent and languished. Most cases tend to resolve within a few hours or a day after giving your mind and body a much-needed break. To that end, you may reduce the intensity of your activity or catch up on some sleep. However, if your level of exhaustion is unrelenting despite adequate sleep, stress management, proper nutrition, and physical activity, you may be suffering from chronic fatigue, which can hamper your ability to manage daily affairs to a significant degree. The origins of this generalized state of fatigue can be quite ambiguous, and the exact cause of the problem often remains undiagnosed. Was the onset of fatigue gradual or sudden? Have you gone through any significant life changes recently? Do you experience cyclical episodes of fatigue or has it become a constant state of being? Do you encounter unusual levels of sleepiness or weakness? Would you say that you have struck a balance between all the important aspects of your life: professional, relationships, physical, emotional, social, sense of worth, and recreation? What can be the probable cause, according to you? Have you been feeling down or depressed lately? You cannot expect to comprehensively deal with the problem of fatigue without identifying the causative factors responsible for it in the first place. Such chronic episodes of fatigue may fail to subside despite your best efforts to maintain a healthy lifestyle and a wholesome diet. People are often convinced that they are doing everything to keep their energy levels up but miss out on some specific determinants that only a professional can help them out with. Given that fatigue can be rooted in a whole gamut of treatable medical ailments, be the by-product of various drugs, or be the result of inactivity, you must work closely with your healthcare provider to first reach a comprehensive diagnostic evaluation. Subsequently, a customized treatment approach can be developed to address the underlying factors contributing to fatigue and manage the varying symptoms that come with it. The healthcare provider will enumerate and discuss the possible benefits and harms of each therapeutic technique and medication. Occupational therapy to help you simplify tasks at work and at home. Physical therapy to establish a regular exercise routine and pick up on energy-saving techniques for performing daily tasks, with or without the use of assistive devices. Sleep regulation, which entails the short-term use of sedatives and the redressal of other sleep-disruptive factors such as spasticity and urinary problems. Psychological strategies, such as relaxation training, stress management, enlisting in a support group, or psychotherapy. Whether your fatigue is due to physical, mental, or emotional exertions, you may be able to fight it with some readily available foods. Key foods will provide your body with all the essential nutrients, such as protein, fats, and complex carbohydrates, as well as vitamins and minerals, to function properly and fight symptoms of fatigue. Here are the 10 foods to fight fatigue. Bananas contain a good amount of potassium, which the body needs to convert sugar into energy. Also, bananas are rich in many important nutrients, such as B vitamins, vitamin C, omega-3 fatty acids, omega-6 fatty acids, fiber, and carbohydrates, that help beat tiredness, dehydration, and other fatigue symptoms. Plus, the natural sugars, namely, sucrose, fructose, and glucose, in bananas are essential for quick energy boosts. Eat 1 to 2 bananas daily. You can also enjoy a banana in a shake or smoothie to keep your body hydrated and full of energy. Sipping on a cup of refreshing green tea may also fight fatigue, especially exercise-related fatigue. A 2018 study found that green tea extract improved fatigue associated with muscle damage and oxidative stress in athletes. A 2017 study in mice found that a polyphenol in green tea, epigallocatechin-3-gallate (EGCG), was able to prolong swimming time in mice in comparison with the placebo group. This suggests green tea may have anti-fatigue properties. Steep 1 teaspoon of green tea leaves in a cup of hot water for 5 minutes. Instead of green tea leaves, you can also use tea bags. Pumpkin seeds make an ideal snack to fight fatigue. 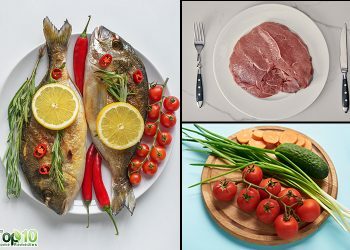 They are loaded with high-quality protein, healthy omega-3 fatty acids, and vitamin B1, B2, B5, and B6, as well as minerals including manganese, magnesium, phosphorus, iron, and copper. All these nutrients work together to boost your immune system, provide energy, and fight symptoms of fatigue. One of the amino acids in pumpkin seeds, tryptophan, may help fight emotional fatigue and promote better sleep. You can snack on a small handful of pumpkin seeds throughout the day to provide your body the beneficial fatigue-fighting nutrients. You can even switch to pumpkin seed butter as another way to get more pumpkin seed nutrients in your diet. A portion of perfect food for fighting fatigue is oatmeal. It contains quality carbohydrates that are stored in the body as glycogen and provide fuel for your brain and muscles throughout the day. The fiber in oats slows the release of energy into your bloodstream, preventing a spike and crash in blood sugar. Plus, it has many important nutrients such as protein, magnesium, phosphorus, and vitamin B1 that help boost your energy levels. Oatmeal is also regarded as a superfood for digestive health due to its high fiber content. Oats also contain a compound, beta glucan, that has been shown to help lower the risk for certain cancers. A bowl of oatmeal makes a great breakfast. You can top your oatmeal with fresh fruits and nuts for added health benefits. The high amount of protein, carbohydrates, and gut-healthy probiotics in yogurt can be a big help to fight the symptoms of fatigue. A 2018 study published in Nutrients reported that yogurt ameliorated summer heat fatigue in otherwise healthy individuals. You can eat yogurt at any time of the day. It can be eaten with fruit for breakfast, as a snack, or as a replacement for sour cream at lunch or dinner. If you do not like plain yogurt, add some frozen berries or other fruits and nuts, or simply make a smoothie. Avoid choosing yogurts that are sweetened as these are very high in sugar. Instead, buy plain yogurt and add fruit, honey, or jam to sweeten it on your own. If you’re feeling fatigued on a hot day or after a workout due to dehydration, you can get your energy back with a slice of watermelon. Watermelon is rich in water and electrolytes that keep dehydration at bay and help keep you active and free from symptoms of fatigue. In one study, watermelon juice enriched with L-citrulline diminished muscle soreness perception from 24 hours to 72 hours after a race and maintained lower concentrations of plasma lactate after an exhausting exercise. L-citrulline is a naturally occurring nonessential amino acid in watermelon. Watermelon is rich in fatigue-fighting nutrients including potassium, vitamin C, antioxidants lycopene and beta-carotene, and iron. The next time fatigue comes calling and you need an instant boost of energy, have a slice of watermelon. You can also make a healthy drink by blending some watermelon, a little honey and lemon juice, and water. Drink the juice after a workout to prevent signs of fatigue. 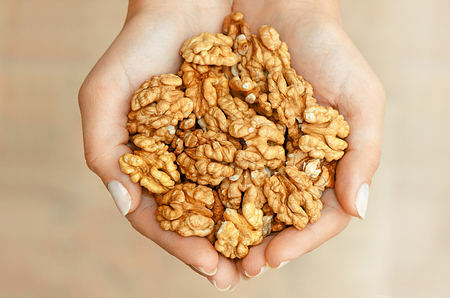 Another popular fatigue-busting food is walnuts. They are high in omega-3 fatty acids that can easily counteract fatigue symptoms. 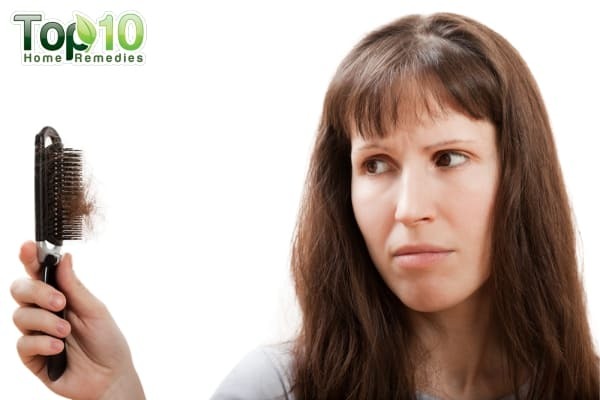 They can also help relieve symptoms of mild depression. A study on mice published in Molecules highlighted the beneficial antifatigue effects of walnut oligopeptides. Walnuts also contain both protein and fiber, which help provide sustained energy. These nuts also have a decent amount of the minerals manganese, magnesium, phosphorus, iron, copper, and vitamins. Aim to include 1/4 cup of shelled walnuts in your daily diet. You can eat roasted walnuts as a healthy mid-morning or mid-afternoon snack. You can even add a crunchy bite to regular cereal, milkshakes, smoothies, soups, and salads with a generous sprinkling of walnuts on top. Beans are called miracle food for many good reasons. They have numerous health benefits and can help fight fatigue. They are high in fiber and contain a good ratio of complex carbohydrates and protein and an array of minerals including potassium, magnesium, phosphorus, copper, and iron. This unique nutritional composition helps deliver long-lasting energy and prevents you from feeling fatigued. As most beans have a low glycemic index, you can eat them without worrying about sudden blood sugar spikes and subsequent dips in energy. 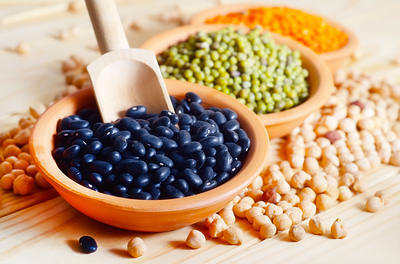 You can try different types of beans for different meals throughout the day. You can have boiled soybeans for breakfast and black bean salad or soup for lunch or dinner. You can also try some one-pot meals with beans of your choice. 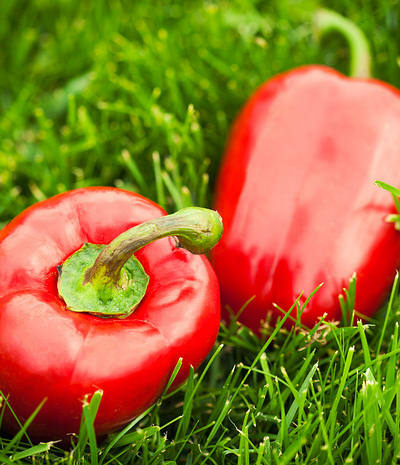 Red bell peppers are one of the best sources of vitamin C. This antioxidant can help give a boost to your immune system and can help you fight feelings of fatigue. Red bell peppers are also rich in folic acid, fiber, and vitamin A, B6, and C.
Just 1 cup of a red bell pepper daily is more than sufficient to keep your energy and metabolism high. You can include red bell peppers in your diet in raw, baked, roasted, grilled, cooked, or stuffed form. Spinach is another great fatigue-fighting food that you can easily find in the grocery store or local market. 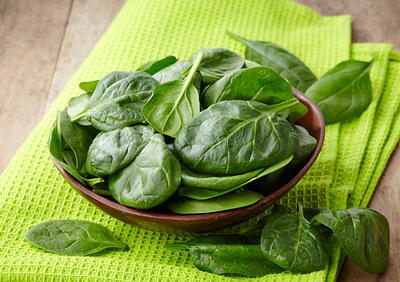 Spinach is a good vegetarian source of iron, which is needed for blood cells to deliver oxygen to the body’s cells. This, in turn, helps produce energy and combat tiredness and other fatigue symptoms. Also, spinach is packed with magnesium, potassium, and vitamin C and B. These nutrients may all play a role in feeling fatigued if you are low in them. You can add some spinach leaves to sandwiches, soups, or other healthy snacks. You can also add it to stews, casseroles, and smoothies without altering the flavor. A glass of spinach juice is another easy option to fight fatigue. Pairing spinach with vitamin C-rich foods, such as red peppers, can help the body absorb the iron from spinach. Kale is a favorite among health and fitness enthusiasts due to its nutritionally dense composition. Incorporating kale into your diet can also give you a heavy dose of iron, calcium, and vitamin K and C.
Chia seeds figure as a complete protein that is generously endowed with potassium, fiber, calcium, phosphorus, iron, and manganese. Given that a mere tablespoon of chia seeds contains 5 grams of fiber, munching on these power-packed seeds is a great way to up your daily fiber intake. Chia seeds go well with a whole variety of dishes and can be a great value addition to your breakfast cereals, smoothies, juices, salads, etc. There is no end to the health benefits of eggs, which come packed with a rich supply of essential nutrients such as iron, zinc, and protein. Further enriched by a vital amino acid called leucine, eggs also help with muscle development and repair. Another key component of this versatile wonder food is the high level of B vitamins that help with energy synthesis in the body. No wonder eggs have emerged as an undisputed breakfast favorite as a majority of people rely on them for an energetic start to their day. The stimulating effect associated with caffeine is often short-lived and can even prove counterproductive in the long run. Despite the initial surge, your energy levels will eventually plummet lower than before. If you can’t do without your regular dose of caffeine, try to minimize the damage by opting for healthier alternatives such as Bambu tea or coffee. These don’t contain the sugars and chemicals found in fizzy drinks and are a source of antioxidants. Minimize your intake of processed foods as they contain high levels of sodium and saturated fat, both of which when taken in excess can cause negative health effects. Simple carbohydrates in the form of sugar and starch tend to break down more readily than their complex counterparts. Moderate intake of such simple carbohydrates can supply you with instant energy but it will come crashing down. An excessively high sugar diet can render your energy levels quite erratic and unstable. 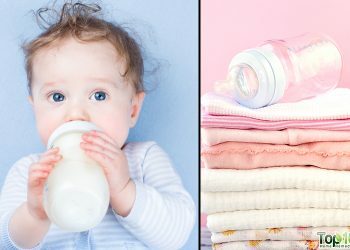 Thus, it is essential that you don’t overdo their consumption but maintain a healthy balanced intake. Common sugary foods to be kept in check include chocolates and sweets. 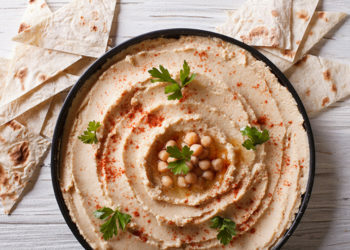 Similarly, you might benefit from reducing your consumption of white flour, white bread, and many packaged snacks that are full of simple starches. Nieman DC, Gillitt ND, Henson DA. Bananas as an Energy Source during Exercise: A Metabolomics Approach. PLoS One. https://www.ncbi.nlm.nih.gov/pmc/articles/PMC3355124/. Published May 17, 2012. Machado ÁS, Silva Wda, Souza MA. Green Tea Extract Preserves Neuromuscular Activation and Muscle Damage Markers in Athletes Under Cumulative Fatigue. Frontiers in Physiology. https://www.ncbi.nlm.nih.gov/pmc/articles/PMC6107802/. Published August 17, 2018. Teng Y- song, Wu D. Anti-Fatigue Effect of Green Tea Polyphenols (-)-Epigallocatechin-3-Gallate (EGCG). Pharmacognosy Magazine. https://www.ncbi.nlm.nih.gov/pmc/articles/PMC5421434/. Published April 18, 2017. Patel S. Pumpkin (Cucurbita sp.) seeds as nutraceuticals: A review on status quo Mediterranean Journal of Nutrition and Metabolism. and scopes. https://www.researchgate.net/publication/246546703. Published June 2013. Lindseth G, Helland B, Caspers J. The Effects of Dietary Tryptophan on Affective Disorders. Archives of Psychiatric Nursing. https://www.ncbi.nlm.nih.gov/pmc/articles/PMC4393508/. Published December 9, 2014. Basic Report: 18039, Bread, oatmeal. USDA Food Composition Databases. https://ndb.nal.usda.gov/ndb/foods/show/18039. Published April 2018. Rasane P, Jha A, Sabikhi L. Nutritional advantages of oats and opportunities for its processing as value added foods – a review. Journal of Food Science and Technology. https://www.ncbi.nlm.nih.gov/pmc/articles/PMC4325078/. Published June 25, 2013. Makino S, Hemmi J, Kano H. Anti-Fatigue Effects of Yogurt Fermented with Lactobacillus delbrueckii subsp. bulgaricus OLL1073R-1 in Healthy People Suffering from Summer Heat Fatigue: A Randomized, Double-Blind, Placebo-Controlled Trial. Nutrients. https://www.ncbi.nlm.nih.gov/pmc/articles/PMC6073584/. Published June 21, 2018. Sánchez AM-, Alacid F, Aguayo E. Biochemical, physiological, and performance response of a functional watermelon juice enriched in L-citrulline during a half-marathon race. Food & Nutrition Research. https://www.ncbi.nlm.nih.gov/pmc/articles/PMC5475291/. Published June 13, 2017. Liu R, Wu L, Chen QDJ-WRQ-H, Liu DLR-XMX-R, Li Y. Small Molecule Oligopeptides Isolated from Walnut (Juglans regia L.) and Their Anti-Fatigue Effects in Mice. MDPI. https://www.mdpi.com/1420-3049/24/1/45. Published December 22, 2018. Haas JD, Luna SV, Beebe S. Consuming Iron Biofortified Beans Increases Iron Status in Rwandan Women after 128 Days in a Randomized Controlled Feeding Trial. The Journal of Nutrition. https://academic.oup.com/jn/article/146/8/1586/4584652. Published June 29, 2016. Sun T, Xu Z, Wu CT, Janes M, Prinyawiwatkul W, No HK. Antioxidant activities of different colored sweet bell peppers (Capsicum annuum L.). Journal of food science. https://www.ncbi.nlm.nih.gov/pubmed/17995862. Published March 2007. Bernard O. Bell pepper. Fondation Louis Bonduelle. http://www.fondation-louisbonduelle.org/en/vegetable/bell-pepper/. Published February 10, 2017.
thanks for the imformation. More power. Am so glad to learn about this health foods,please keep on updating us. I need to live a health life. I have been reading many of the articles posted and find it very interesting and helpful. excellent, educational, rewarding site, that i will be returning to time and time and time again now. thank you so very much. my mind, body and soul need a severe overhaul and this is sucvh a good place to start it. I love learning about healthy foods and how they help. One thing I wish would have been mentioned here is that watermelon is high in sugar.